The San Lotano Habano Requiem by AJ Fernandez is specially blended for the médium to full-bodied cigar fan. Earn up to 146 Points Points. 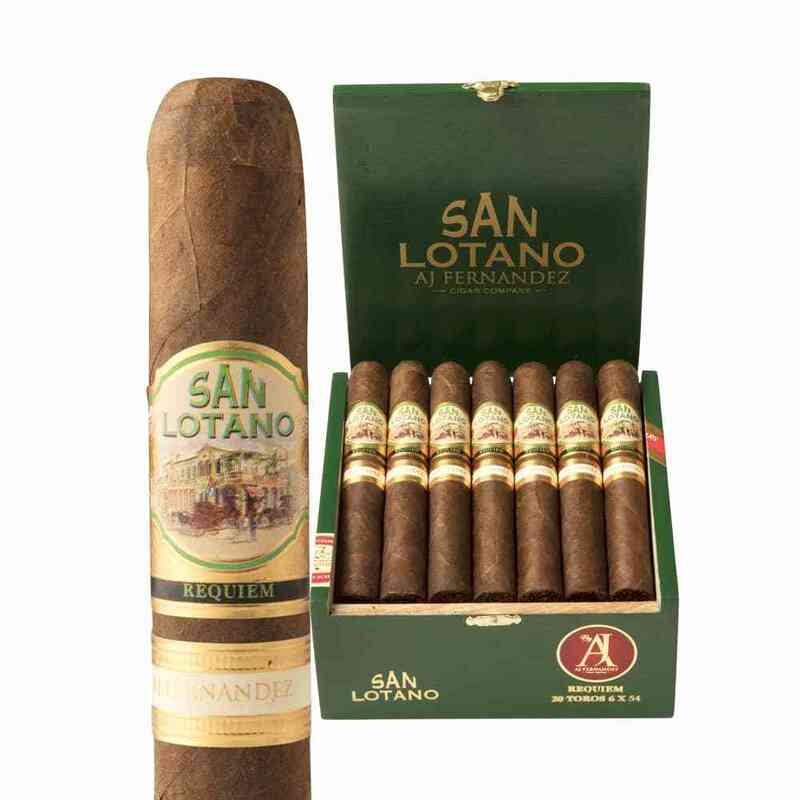 The San Lotano Habano by AJ Fernandez is specially blended for the full-bodied cigar fan. Consisting of premium fillers fermented to perfection, this unique cigar is robust, yet perfectly balanced with rich and smooth flavors leading to a long and memorable finish. San Lotano Habano Requiem cigars by AJ Fernandez are strong, yet flawlessly balanced with a rich and full-bodied flavor. The Habano blend is unique because of its very RARE Brazilian-grown, Cuban seed Ligero wrapper, which makes the Habano an excellent smoking experience. Perhaps the most unique aspect of the Habano blend is its rare Cuban seed ligero wrapper grown only in Brazil by the Fuego family. The Requiem Habano is truly a unique gem.